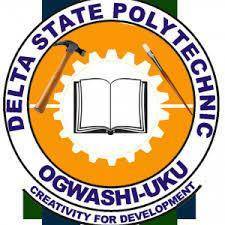 .This is to inform all candidates who applied for National Diplom and Higher National Diploma admission in Delta State Polytechnic Ogwashiuku that the reprinting of slip for the Post-UTME and Admission screening exercise for 2018/2019 academic session has commenced. All prospective ND and HND students of the Polytechnic are by this notice advised to proceed to reprint their registration slips as to know their exact date, time and venue for the screening exercise. The Post-UTME Screening for ND full time candidates will hold on 13th and 14th September, 2018 while the HND Admission screening exercise will hold on September 14th, 2018. To print your screening slip, visit: https://dspg.waeup.org/login enter your username and password to login and proceed to print your slip..